Greens and Lib Dems have accused the PM of misleading the Commons, after the PM claimed Treasury analysis 'does not show' the UK will be worse off. Opposition parties have accused the PM of ‘misleading Parliament’ after Theresa May appeared to contradict her own Chancellor at PMQs. The Treasury’s own analysis – confirmed by Hammond – shows May’s deal could leave the UK economy up to 3.9% smaller after 15 years, compared to staying in the EU. The story – first published on Left Foot Forward, has now been leapt on by opposition parties. 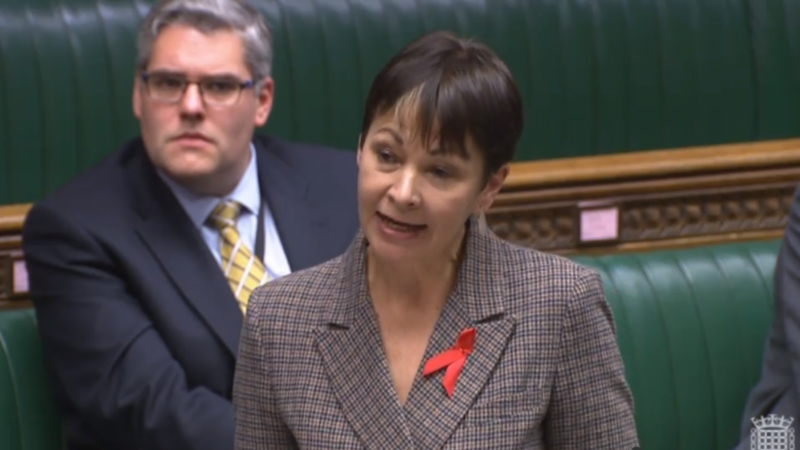 Granted a follow-up question, Caroline Lucas said she was ‘surprised’ that the PM could not be called back to the House – but the Speaker advised her to write to the PM. “The public demand the full facts and figures on the cost of Brexit. Perhaps that’s why the Chancellor has broken rank and confirmed Brexit will make people poorer. However, the PM has already desperately refuted the Chancellor’s assertion in the House of Commons. “So what is it? Either Theresa May is calling the Chancellor a liar, or she has misled the House of Commons. WATCH Ian Blackford taking on the PM at PMQs, and Caroline Lucas suggesting the PM misled Parliament.